“With my passion for sport, I left college and enrolled at (what was then) Leeds Metropolitan University to study Sports Development. Over three years, this bachelor’s degree gave me the opportunity to look at sport in many ways; initially focusing on sports coaching, then progressing to sport as a business as well as its social benefits and how it can be used within communities. In my third year I had the opportunity to work with young people, both in the community and at school, and realised I wanted to become a teacher. Having successfully completed my degree, I went on to study for a Post Graduate Certificate in Education (PGCE) at the University of Leeds. I had an amazing time teaching primary school children of all ages and have so many fantastic memories that I will treasure for the rest of my life. However, after six thoroughly enjoyable years, I decided that a change of direction and a new challenge was needed. Having always had a keen interest in the construction industry, I found myself drawn towards quantity surveying as a potential new career. I was attracted to this profession because of the variety of tasks I could be involved with day-to-day, and I’d be working with skilled people as part of a team. With this new focus I contacted Cooper & Hall who allowed me to get to grips with the work they do, giving me an insight into what the job involves. Very fortunately they offered me a position as a Trainee QS, sponsoring me through an MSc at Northumbria University. 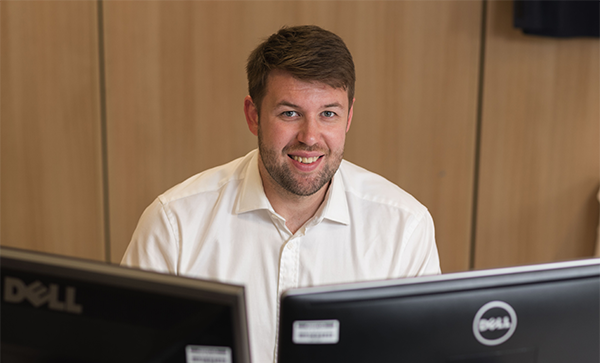 Since joining the company I have gained a good amount of knowledge and understanding of quantity surveying, although I appreciate the learning will continue in my new, fast-moving profession. It has been hugely beneficial to work with such a highly educated and talented team. They are able to impart their knowledge in a way that is informative and understandable, even to a newcomer like me. I am excited about starting my training at university as part of their ‘distance learning’ programme. This allows me to study alongside working full time, giving me the chance to apply what I learn through university directly to what I’m doing at work and vice versa.